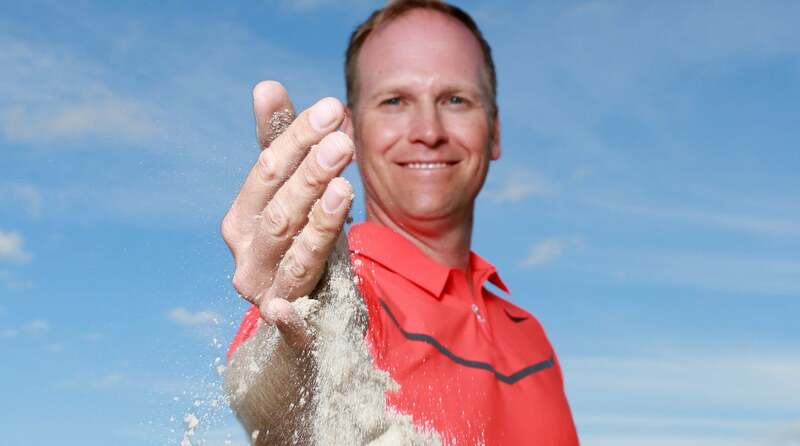 This drill will reveal how much sand to take—so you can knock it stiff from the bunker every time. 1. Draw a line in the practice bunker and straddle it. (The line represents ball position.) Make your regular greenside bunker swing. Note how close to the line your club enters the sand. 2. Keep stepping down that line, making more swings. Your goal: To enter the sand in the same spot relative to the line every time. 3. Once you develop a consistent entry point, adjust your entry angle to match. If the entry point is close to the line, carve a big divot—send the clubhead deep into the bunker and blast out a healthy hunk of sand. 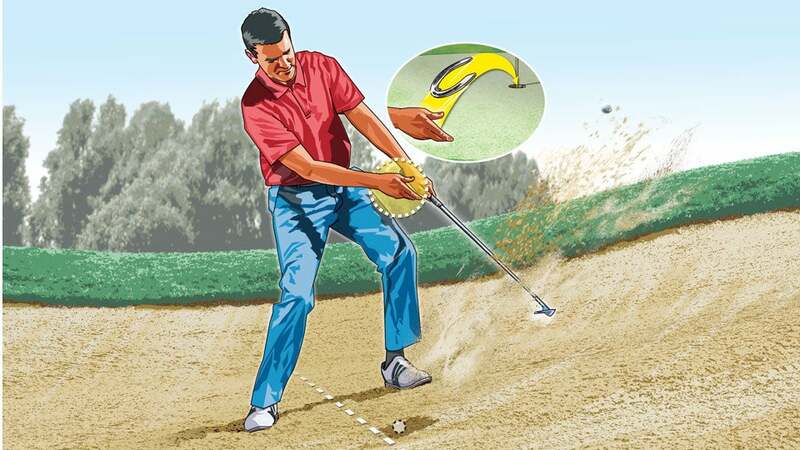 If you enter two or three inches behind the line, take much less, skimming the club just under the surface. By matching the entry angle and entry point, you'll nix fat and thin contact. Easy saves!